You have come to the right place for a memorable cycling holiday along signposted routes through the Netherlands’ most beautiful landscapes. 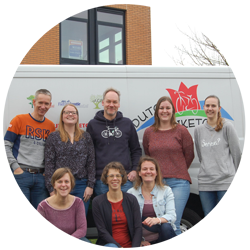 Dutch Biketours is your leading specialist tour operator for packaged self-led bike holidays in the Netherlands. You decide with whom you’d like to travel, when you’d like to go and which one of our 52 routes you want to cycle. We take care of everything else from Route Pack to luggage transport. Take a look at what we have to offer and have fun planning your bike holiday right now! Check our 360 Video here!